The Porvenir Design team spent a day at RDLA training their employees on a number of soil fertility strategies. These included preparing biofertilizer foliar sprays, mulching fruit trees, and making compost. The training also included tree pruning. 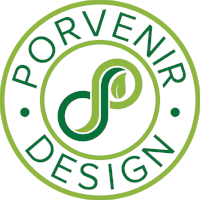 Porvenir Design traveled to the island of St. John to assess the hurricane damage after Irma and Maria passed through the Caribbean. We provided technical advice on the creation of more resilient water infrastructure and general planning for climate change. Porvenir was brought in to create a vision and roadmap for future educational programming and passive education at the Valle Escondido Preserve. We provided feedback on existing permaculture systems and technical advice for growing increased quantities of food in the future. Porvenir Design evaluated two properties for the Climate Healers team to determine the suitability for the Sacred Lifeline project and community. This involved detailed site and regional assessments, SWOT analysis, client goal setting, and recommendations on the potential of the sites. A large scale property located near Turrialba that contracted Porvenir Design to explore profitable farming and tourism activities to help sustain the property. This rain water catchment to tree irrigation project was a retro-fit to existing infrastructure to accommodate rain water catchment. This helps to combat rising water prices and uncertain climate activity in a coastal region of the Nicoya Peninsula. A day visit to the Mauser EcoHouse homestead saw the brainstorming of educational programming options for revenue generation. As well, Porvenir provided technical assistance on numerous aspects of the homestead such as; gardens, tree care, plant propagation, greenhouse design, chickens, community involvement and agreements, water management, and species selection. Porvenir Design assisted Finca Coqui-Tucan in making an assessment of the suitability of their landscape with the challenges of working in a cloud forest environment. Recommendations around sustainable forestry, fiber crops, and mountain biking tourism will move the farm toward realizing a profitable and active space. A small boutique ecotourism hotel in southern Costa Rica that brought Porvenir Design into their team in order to lay the framework for building out a farm-to-table experience, improving wildlife interaction with trail design, and siting new infrastructure, forestry components and more. Porvenir founder Sam Kenworthy was the on-ground manager for the implementation of four hectares of agroforestry systems on the CIRENAS campus. This included earthworks, pond construction, rain-water catchment, irrigation, erosion control systems, waster treatment, and nearly 3000 trees in the ground. Sam also developed educational curriculum for CIRENAS.